If you’re into the burger scene in Miami then you’re familiar with Chef Junior de la Torre. Jr’s Gourmet Burgers, his smallish but powerful burger joint in Miami Springs has won 3 times at my Hamburger House Party and won the people’s choice award at the South Beach Wine & Food Festival Burger Bash. His new venture 3rd Heritage Kitchen doesn’t veer too far from its roots in Miami Springs. They’re located at the brewery inside of an old building that has a bunch of history. What kind of history? Ask them, they’ll be happy to give you the lowdown. If you’ve eaten at Jr’s Gourmet Burger then you may have had variations of a couple of dishes from here. The standouts for me were the Carnita Tacos, the Pop Cone, and the Cubichi Burger. 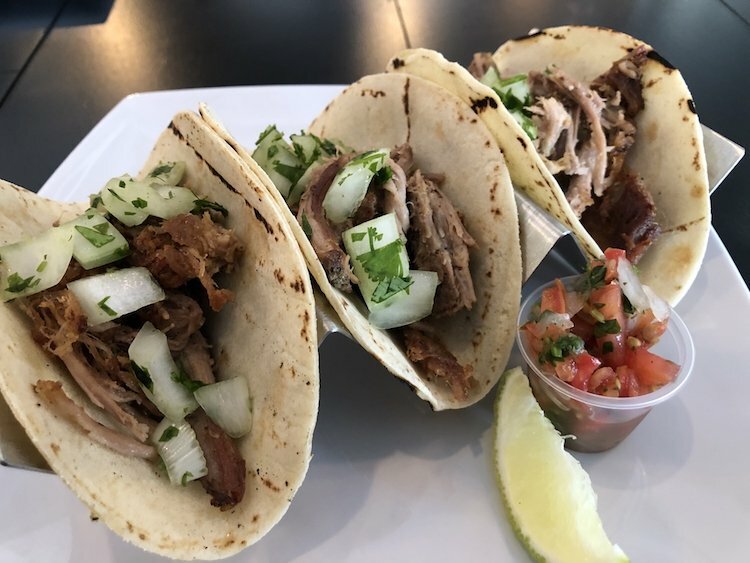 The Carnita Tacos were just so tender and juicy, what great flavor too. The Pop Cone which is Jr’s take on Chicken n’ Waffles is perfect for snacking. I could pop those little chickens all day like tic tacs. 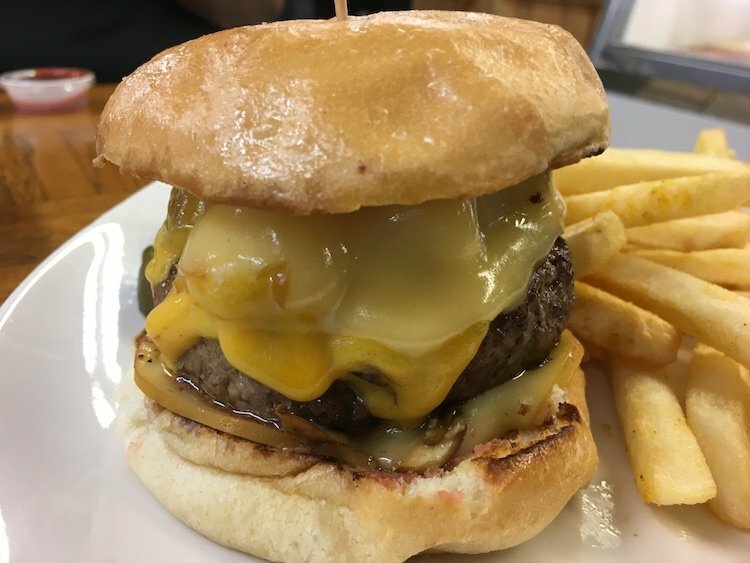 The Cubichi Burger hits all the right Hispanic Miami notes and doesn’t insult you by calling itself a Frita just to get some street cred on the menu. The flans on the menu are made by the Creamy Creations, a new local dessert company that is killing it. I consider myself a Flan expert and their Flan is in the Top 1% in Miami. Jr’s onto another winner with the 3rd Heritage Kitchen. They’re right around the corner from where I live and have a vibe that I love so it looks like I’ve found a new hangout.